My two new books are available! The first is Sunlight Through Dusty Windows. Skyhorse Publications, who bought out Good Books, the publisher of my first three books,* decided to combine them all under one title. The result was this plump book that contains more cogitations than anyone ought to read at one go, but this was not my decision to make, having sold all rights to Good Books when the books were first published, and barely escaping with my soul and my children. In case I haven't made it clear, I am just a bit bitter about publishers. Books are all business to them, and authors are mere word-generating and (hopefully) money-making machines. I was supposed to get a free copy of this book in the mail, since I’m the author, after all. Instead I got a copy of a book on how to go camping. It’ll make a nice Christmas present for [BEN DON'T READ THIS!] that person in the family who likes to go camping, so I wasn’t too upset. Eventually I got a proper copy of my book. Worse was when I ordered 50 copies of Sunlight Through Dusty Windows at what I assumed would be the normal author discount of 50%. When the bill arrived, I thought they cost an awful lot, plus I had to pay shipping and all. But buying this book is less expensive than buying the three titles individually, so if you want this book despite my gloomy view of it, you can buy it on Amazon. Or you can order it from me. The price is $18. Again, just to be clear, it's my first three books combined. The one redeeming quality of this book is that the cover picture looks like a scene from our house. That's kind of cool. And also my sister Rebecca and her husband thought of the title. There’s my other new book!! I am very excited about this one!!! It is self-published, and I am loving self-publishing!!!! Not only do I have control of the process, but the world is full of people who are happy to help me!!!!! 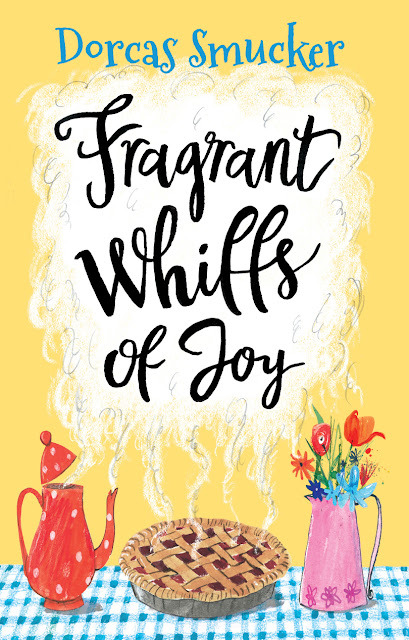 The title is Fragrant Whiffs of Joy. Emily found that line in the story about cooking for a big family and thought it would work as a book title. I agreed. It is available directly from me for $12. Actually, I don't have any copies in hand yet but they are being printed as we speak and should be here before the end of October, so I'm taking orders now. 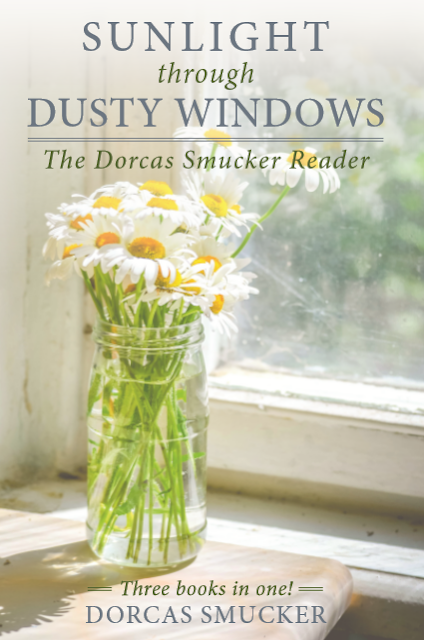 If you plan to be at the ladies' retreat in Canon City, Colorado, on October 27-28, you can buy a copy there. Eventually Whiffs will also be available on Amazon, but not yet. As mentioned, I tried to do as many steps as possible on my own this time, and posting it on Kindle was the only part of the process that didn't go well. At first, every apostrophe showed up as a brief burst of Beetle Bailey-style cussing. I finally got that fixed, and then the page numbers appeared randomly throughout the text. So the Kindle price is $3.99 but will go up $2 when I straighten out the glitches. This book is my sixth compilation of Register-Guard-column essays. It includes stories about grown children, my dad coming to visit, chickens, cats, farming, travel, marriage, illness, fabric, and Aunt Orpha. Emily was the main editor of this one, and you might recall that she impulsively gave it the working title of In the Grass the Snakes Are Slithering when she needed a title as she was saving the document. I got concerned comments and alarmed emails about this, and a serious pull-aside in church. It was a very bad idea, people don’t like snakes, what in the world?, what was I thinking?, and it was a poor testimony besides. My dear People: It was a temporary title. There is no possible way I would put such a name on one of my books. It was also Emily’s idea to leave the stories in chronological order this time instead of grouping them into categories. I’m especially happy about the cover on Whiffs. The artist is Laura Hughes, a young woman from London who draws the most charming cats and teapots I’ve ever seen. She also drew the teapot on the cover of Tea and Trouble Brewing. In the five intervening years, she’s become much better known and has illustrated children’s books for well-known authors. But she was willing to work with little obscure me and I was pleased with the result. Fragrant Whiffs of Joy can be ordered from me for $12. Postage is $2 per book. You can also pay with PayPal at dorcassmucker@gmail.com and then send me an email at that same address telling me what you want. Again, postage is $2 per book. Any 5 books including Dad's and Emily's but NOT INCLUDING Sunlight Through Dusty Windows for $45. Free postage on any order over $50. USA addresses only. Wholesale prices are available for bookstores and such. Email me at dorcassmucker@gmail.com or call/text me at 541-520-8510. Thanks to everyone who told me they're waiting on the new book and encouraged me in the process. I'd like to do a Christmas giveaway again this year as I have in the past, but that is for a future post. Meanwhile, you can think of people who are having hard times and would be encouraged by a free book. Woo-hoo!! How exciting! I can't wait to read your new book; it looks beautiful. Crystal's comment above cracks me up. But... :( Don't tell me you've outgrown the need for blog tours? Thanks, Shari! No I have definitely not outgrown the need for blog tours (she hints pleadingly) but that project is waiting until the fall rains start tomorrow. For today, I'm burning brush and also shoveling chicken droppings out of the henhouse, she brags virtuously. Laughing. The Many Hats of Dorcas Smucker, Not To Mention The Footwear. I wish I could put on a pair of farm boots and join you. But hooray! Please (she begs shamelessly) pick me to add to your list of stops!